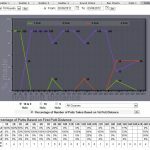 FreeGolfTracker.com (formally mobilegolfstat.com) was one of the first sites I ever created. It was the first time I ever used PHP and MySql to create a database driven site. 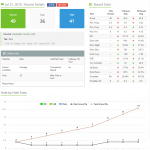 The site allows you to track and analyze tons of different aspects of your golf game. 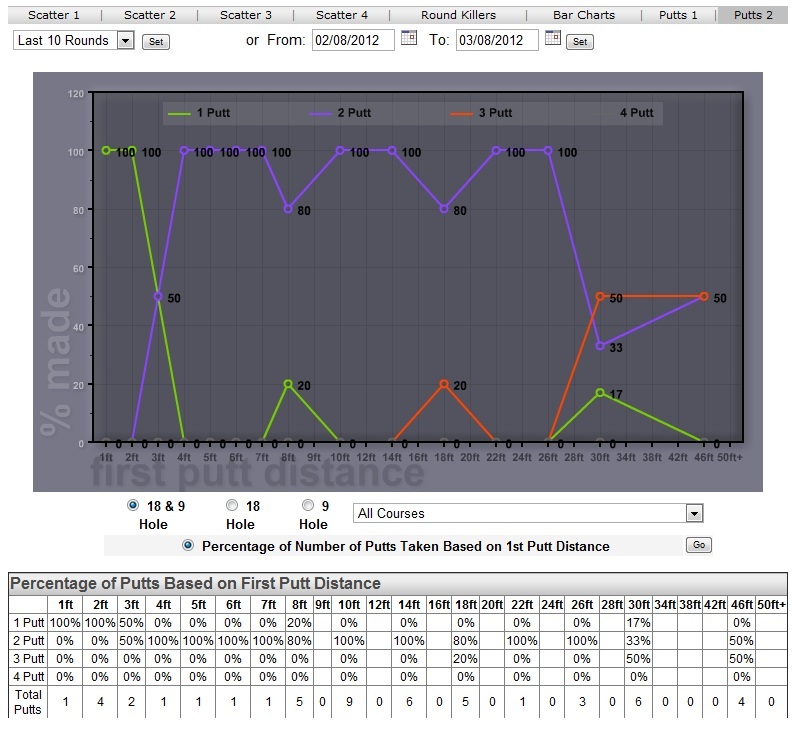 Everything from your driving distance to your putting accuracy and everything in between. It has a WordPress blog integrated with the custom membership database. It currently has over 13k members, 14k golf courses, and 28k different tee boxes in the database. I continue to add new features to the site when I have time. Mainly because I love golf and use the site myself. 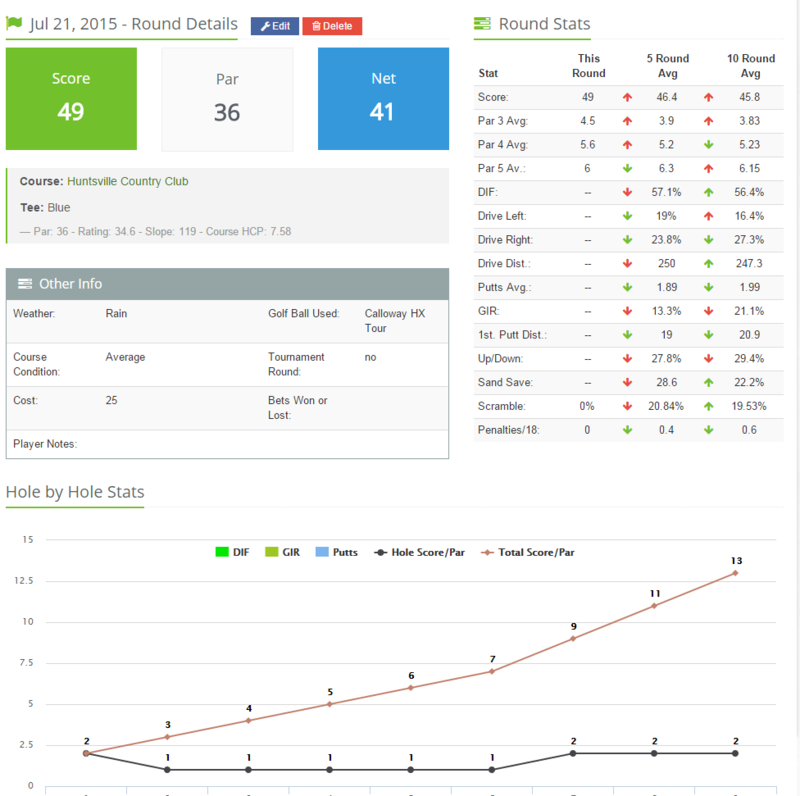 There is also a mobile application that you can use to input your stats while on the course. You can find out more about it in the stores.